It’s always good to have advanced “toys” that will allow people to feel themselves a part of big and highly technical future. But what if once you get an opportunity to use hands-on one of the devices? For what purposes would you like to use it? Well there are many ideas, of course, but David finds the only one which appeared right for him – to conduct an affair with his best friend’s girlfriend. David is an ad executive who lives in a not so distant future Brooklyn, where he gets a new highly advanced technology in the shape of eye glasses with which he, with no problems, can scan anyone who he talks with. One day he meets Sophie Latour, his friend’s girlfriend, who he falls for. Instead of confessing it to her, he uses his augmented glasses to bring to life a seemingly impossible relationship until one day when he realizes that he may lose the comfortable relationship he already has. David seems to adore his girlfriend, Juliette. However, as the film continues, you feel that a future where young people live has its own challenges. David has everything he wants. He does any thing he wants without restrictions. He uses drugs, drinks alcohols and does not think about the future much, as he already feels a part of it. Of course, being able to recreate visually anything he wants with one gesture is fascinating. However, the trouble the advanced world brings is something that not even a single device can fix it. It’s called life. CREATIVE CONTROL co-written and directed by Benjamin Dickinson, who shoots his film in black-and-white is a creative film with decent visual style. While there’s no color presented, it’s interesting to see how he handles the storyline with the combination of a lifestyle of people from future who are no different from those who live nowadays. However, it’s the plot or certain scenes that could have had many different directions, but the ones chosen were the ones that does not fit this film. However, it obvious that Benjamin Dickinson with his film targets only a particular audience that, I must say, is way too many. There were, luckily, no problems with acting, which makes this film completely fun to watch if you prefer watching the film for its beauty but with gaps in storyline. In the end, CREATIVE CONTROL is worthwhile watching at least once. It may not end up in your movie collection, but will allow you to see a possible future the way you would not mind being a part of it. 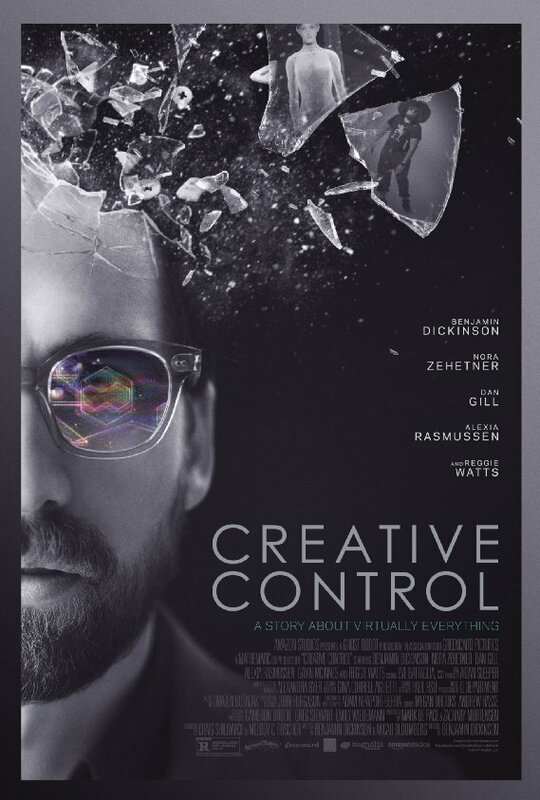 CREATIVE CONTROL available on DVD, Blu-ray and VOD May 17!